Here is a sample video of our String Quartet performing Canon in D by Pachelbel at Matfen Hall in Northumberland. The quartet has performed on several hundred occasions and generally plays a wide variety of different styles from Classical, Jazz, Popular and Films including Hollywood and Bollywood Music. See Newcastle String Quartet Bollywood Repertoire List. 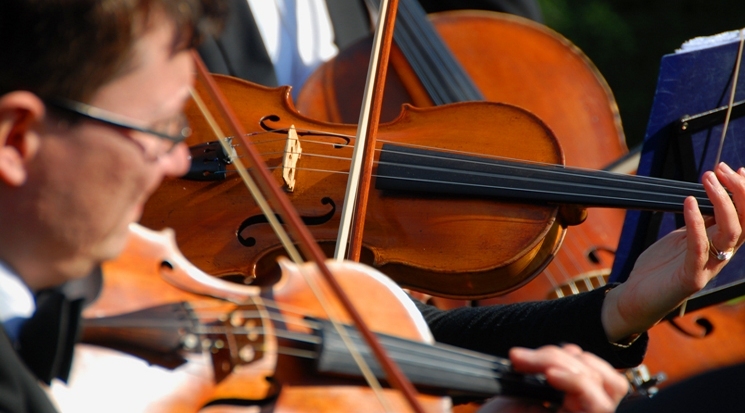 The string quartet's repertoire list is very broad and all arrangements are done in house by the players themselves, so requests can be specially arranged and performed. The Quartet has arranged and performed hundreds of tunes for weddings by special request. This huge list of music now forms the String Quartet's standard repertoire and is available for anyone to choose from. The String Quartet is part of North East Soiree, a group of professional musicians who provide a variety of musical ensembles, from String Quartet, Jazz Bands, Background Duo/Trios, Swing Band, Ceilidh band and Party Bands. In North East Soiree the musicians play various instruments in a number of the groups, so for discounted prices a full package can be tailor-made to suit your requirements - perfect for weddings and corporate events. For more details and special offers look at the North East Soiree website: www.music-north-east.com. Download prices and information for all our musical services. Download String Quartet repertoire list. Download Classical String Quartet list. Download Bollywood Repertoire List for String Quartet, Violin and Piano or Sax and Piano duos.